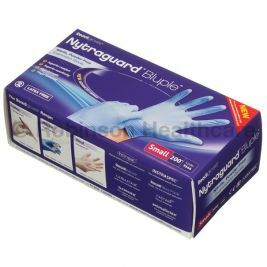 At Care Shop, we supply a wide range of nitrile examination gloves, suitable for use in a variety of health and social care settings. Nitrile gloves are widely used as an industry standard alternative to latex gloves, due to their durability, comfort and practicality. Nitrile examination gloves are three times more puncture-resistant than natural rubber gloves, making them a much safer choice when it comes to handling sharp needles. 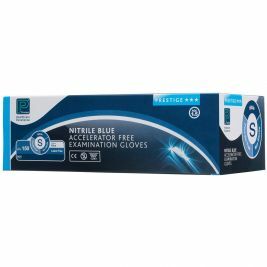 They can also withstand high and low temperatures, and are resistant to a wide range of chemicals and oils, so they're a great choice for protecting your hands no matter what industry you work in. All of our blue nitrile gloves, including the Premier, Healthgard and Nytraguard ranges, contain no natural rubber latex and are powder-free to ensure the risks of contamination and skin allergies are completely eliminated. We provide nitrile gloves in a variety of sizes, so you can find exactly what you need to protect every member of your team. 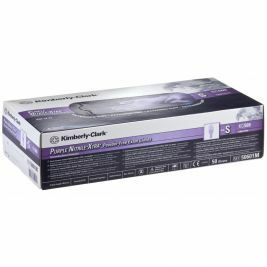 For more choice, take a look at our full range of medical gloves, including vinyl gloves, latex gloves and glove dispensers, and for guidance on which gloves to choose, take a look at our guide to different types of disposable gloves. 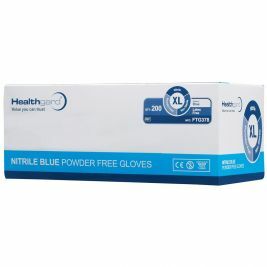 Nitrile Gloves There are 28 products.